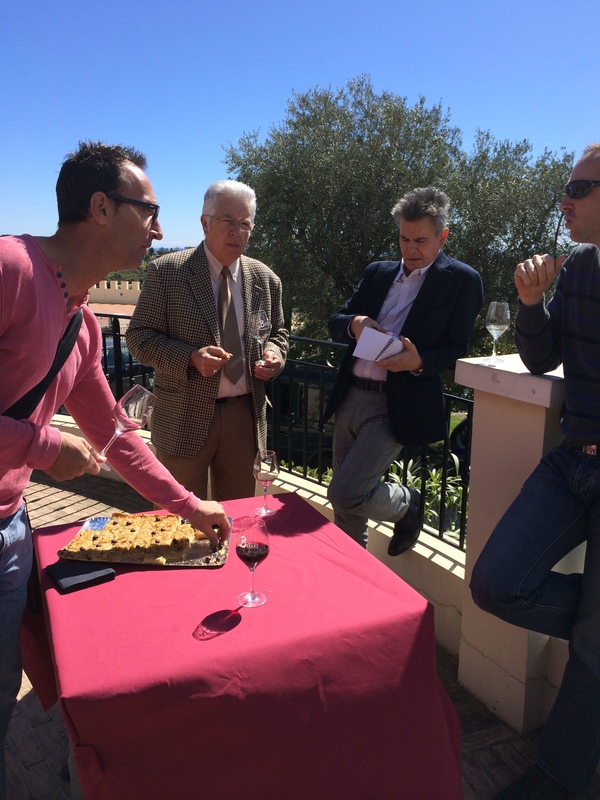 The annual new 2013 vintage tasting for the small (around 60ha) appellation of Bellet is always extremely civilised. With only twelve domaines, each showing three to five wines, it is easy to taste all the wines in one morning, to chat to the producers and the other tasters, largely sommeliers working in the hotels, restaurants and wine shops of the Cotes d’Azur, and enjoy a light lunch together. Very few, if any, tasters come from outside the region and the wines of this appellation remain very much the wines of the wine connoisseurs of Nice. This year was no exception. Set in the conference/tasting room at Chateau de Crémat, hosted by Cornelis and Jarmilla Kamerbeek, the room was flooded with spring sunlight and tasters could look over Nice, reminding us that this is very much an urban appellation. Views to the south of the Mediterranean and the foothills of the Alps to the north were reminders of two of the major influences on the microclimate of the region. Despite the early date (24th March) for this year’s event, it was warm and sunny enough for lunch outside on the terrace. The tasting itself was of particular interest due to the weather in 2013. A cold, wet and long spring which had set ripening back by two to three weeks delaying harvest time into the wetter autumn season. Quantity was down, how were the wines? Bernard Nicoletti of Domaine de Toasc, said that Rolle (Vermentino) vines often have two bunches in each main bunch. In a good year they are harvested together, with the smaller, interior bunch providing the acidity. In 2013, the extra acidity was not required, so in some cases, two harvests were carried out when the second bunch was riper. The winemaker at Chateau de Bellet mentioned that unusually, instead of all the Rolle being harvested before the late-ripening Braquet, in many cases the Rolle was harvested after the Braquet. Overall, the impression of the wines from this tasting was one of freshness.